GRE arithmetic questions can challenge you to think abstractly about simple concepts such as squaring or subtracting numbers. Meeting this challenge often becomes easier when you replace any variables with specific values. See for yourself with this arithmetic problem that only about half of test takers would get right. In The Practice Book for the Paper-based GRE (1st ed. ), a moderate-difficulty Quant question asks you to spot an x, y expression that must be negative. (See §6, 14.) Just under half (49%) of examinees got the question right when it was on a real exam. Here’s a very similar problem. If x is positive and −x < y < 0, then which of the following must be negative? Step 1: Rule out products of squaring. The square of any real number (meaning any value on the number line) cannot be negative. For example, (1/2)2 = 1/4, (−5)2 = 25, and 02 = 0. Since squaring is the final operation in (A), (B), and (C), those answer choices must work out to either zero or some positive value. Step 2: Assign values to x and y. To decide between (D) and (E), figure out whether x2 or y2 is bigger. Neither x nor y is equal to zero, so both x2 and y2 are positive. If x2 > y2, then (E) must be correct, since a smaller positive minus a larger positive must equal a negative. Your task may be a little easier if you pop in numbers for x and y that fit the inequality −x < y < 0. Let x = 2 and y = −1. This last step uses a technique called supplying numbers. You sidestep the question’s abstract, algebraic presentation by introducing concrete values that allow for easy arithmetic. GRE arithmetic questions are, well, about arithmetic. 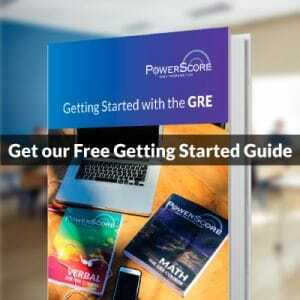 All the facts and rules that will be tested are found in the GRE Math Review. As you’ll see, the general concepts you need to know all have specific applications that you’ll likely find easy to grasp. When those concepts come up in a question with variables, try supplying your own values (the smaller, the better) to get a better grip on the problem. 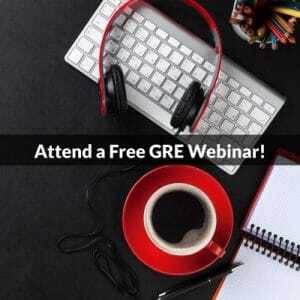 Ready for another GRE Quant Challenge? Check out this post: GRE Algebra Challenge: Quadratics & Negative Exponents. Photo: “Giant Star Burr Puzzle” by Meronim – Own work. Licensed under CC BY-SA 3.0 via Commons.